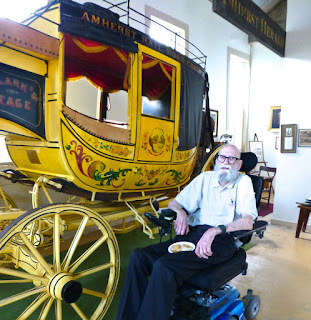 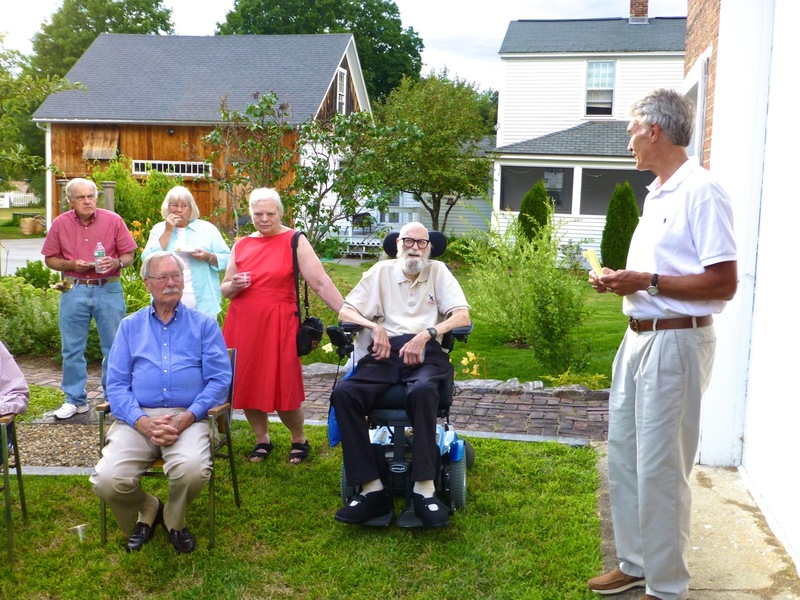 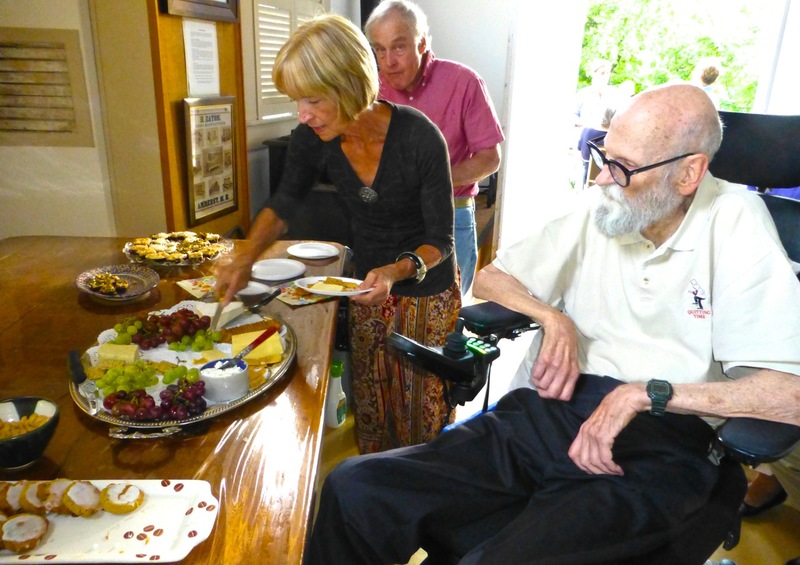 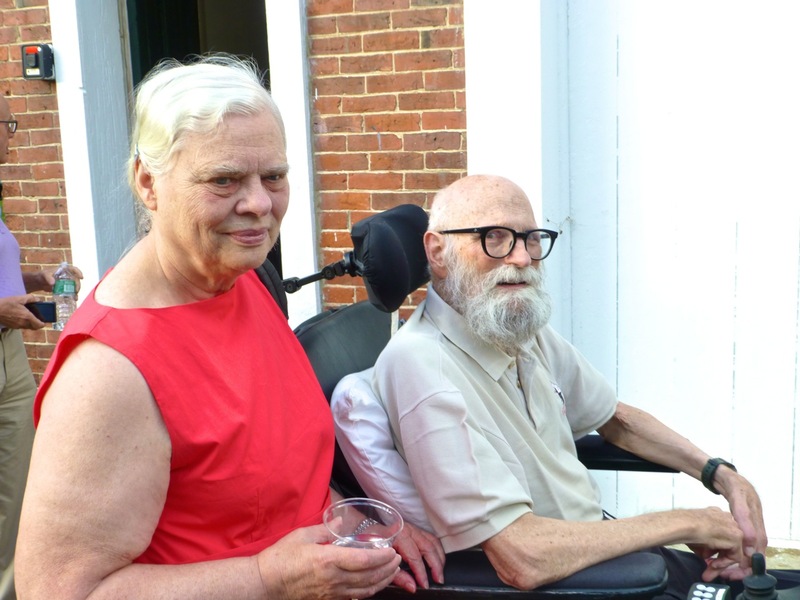 Join with the Historical Society of Amherst, NH as we honor and recognize the many achievements and generosity of long time resident Bill Wichman. 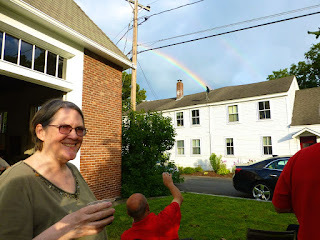 August 5, 2015 was a perfect summer evening as a rainbow appeared over the Wigwam to open our meeting and honor Bill. 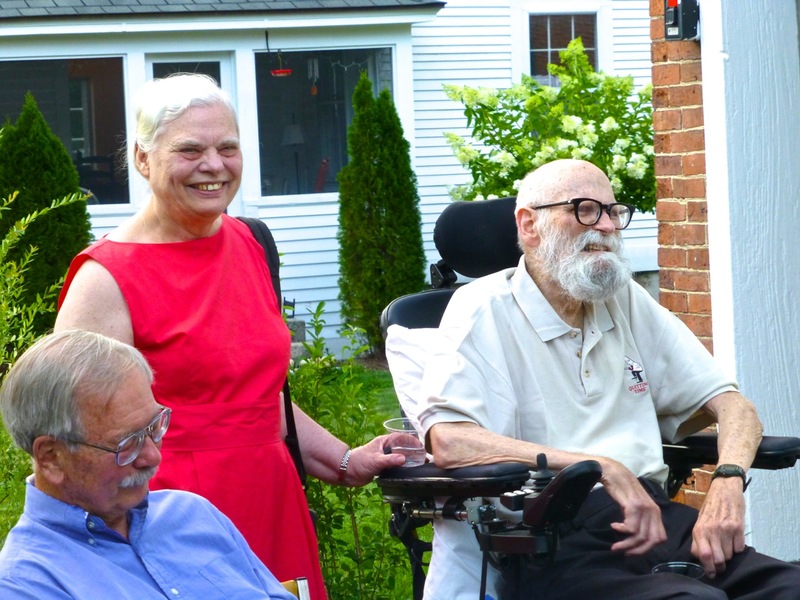 Blanche and Bill Wichman have lived and contributed to the town of Amherst for nearly 50 years. 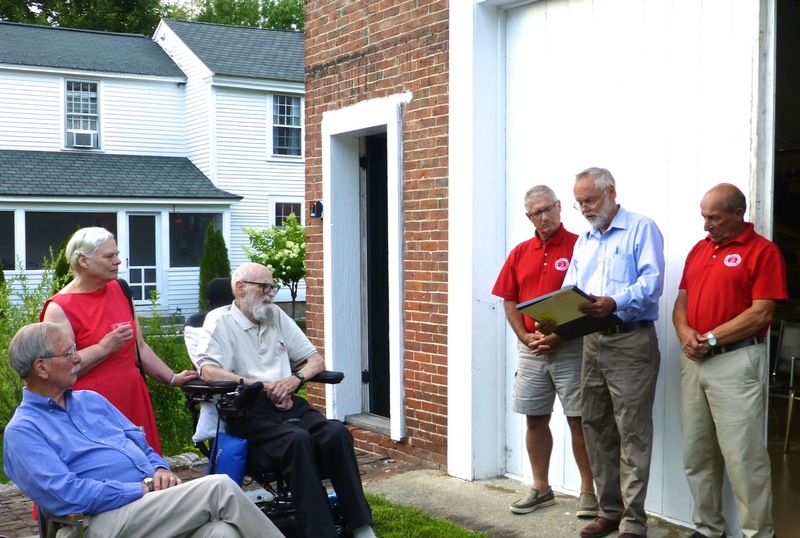 Society president Dave Clark opened the meeting by detailing Bill's valuable contributions to the town. 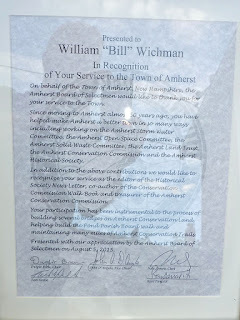 As well as having been the society's newsletter editor, Bill has been instrumental on many town committees including; Amherst Storm Water Committee, The Open Space Committee, Amherst Land Trust, the Amherst Conservation Commission and others too. 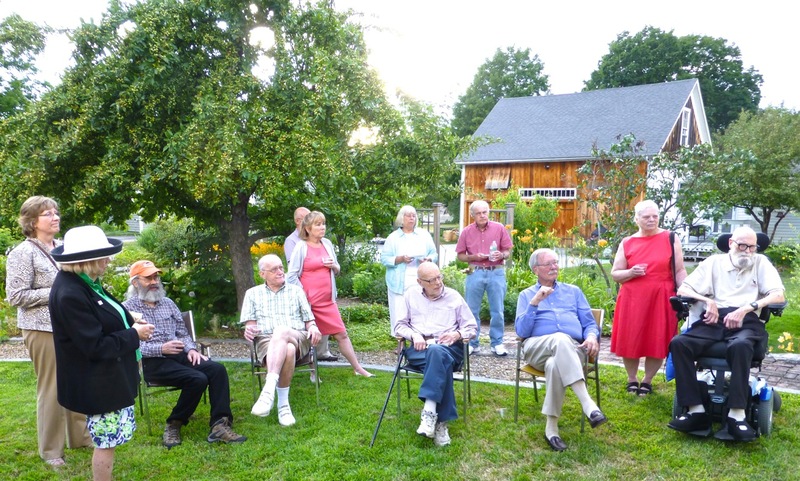 Society members gathered at the Wigwam on a beautiful summer evening to celebrate Bill's contributions to both the Historical Society and the town of Amherst. 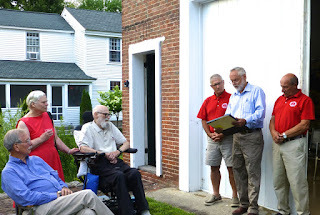 Amherst Selectmen Reed Panasitti, Chairman Dwight Brew and Tom Grella read the proclamation recognizing the many valuable contributions of our Newsletter Editor, Bill Wichman. Blanche and Bill Wichman and State Representitive Bob Rowe as society President Dave Clark addresses the group. 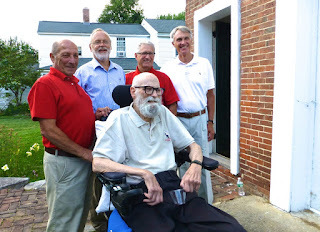 Bill joined by Amherst Selectmen, Tom Grella, Dwight Brew, Reed Panasitti and Society President Dave Clark. 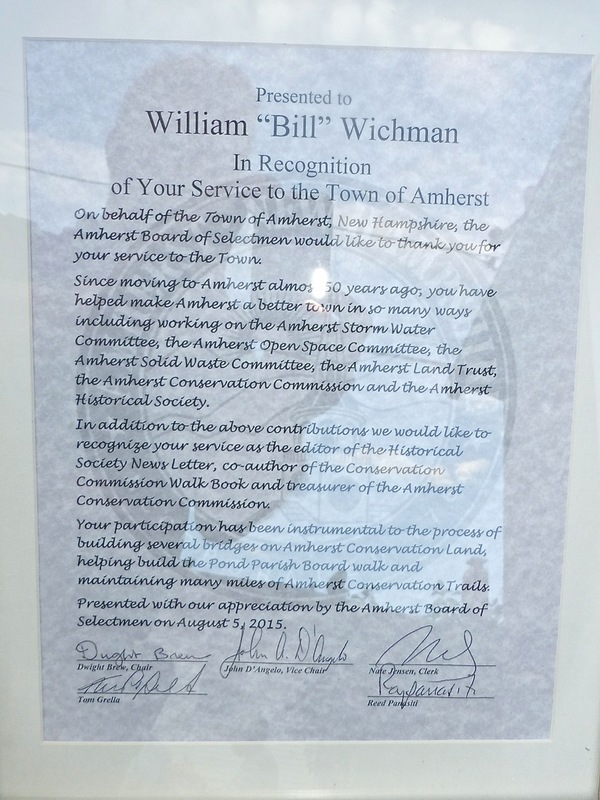 Presented to Bill by the Selectmen of the town of Amherst. Sue Clark preparing a plate of hors d'oeuvres for Bill. Bill by the societies Concord Coach. 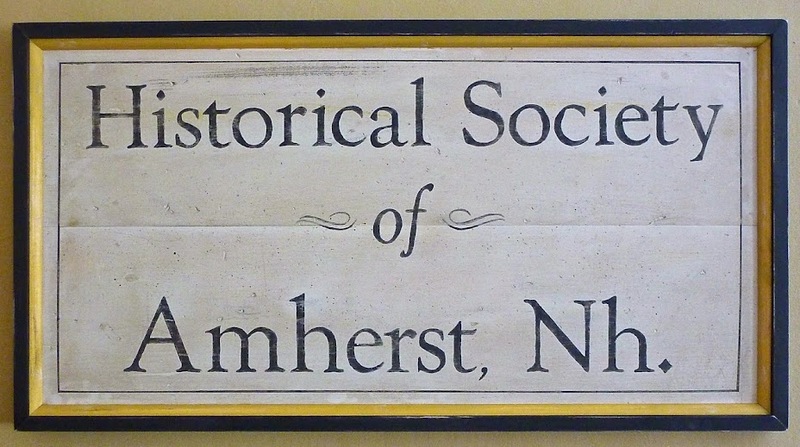 Built by Abbott-Downing Company in Concord, NH in 1849, it returned to Amherst in 1968 and was restored in 1975. 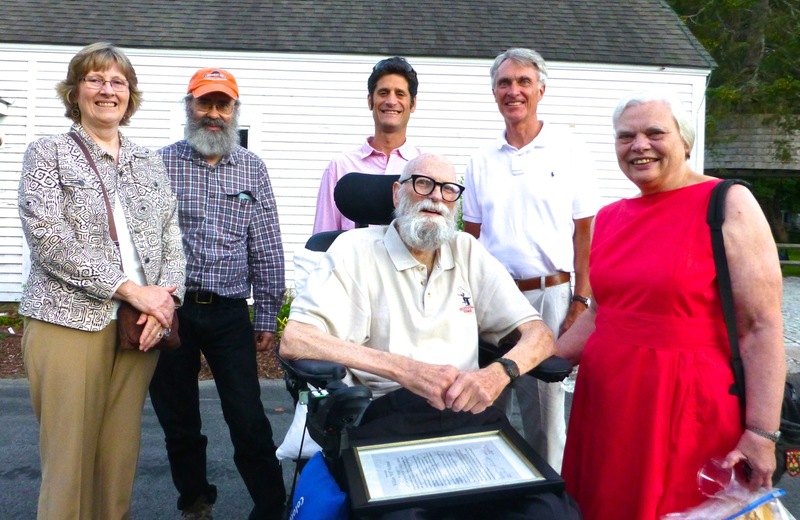 Bill and Blanche joined by society members; Janice McDermott, Chris Marshall, Brian Handwerk and Dave Clark as the meeting came to an end.